In his triumphant best seller, James Michener unfolds a powerful and poignant drama of six young runaways adrift in a world they have created out of dreams, drugs, and dedication to pleasure. 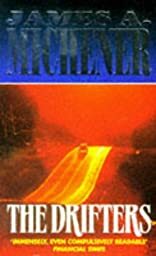 With the sure touch of a master, Michener pulls us into the dark center of their private world, whether it's in Spain, Marrakech, or Mozambique, and exposes the naked nerve ends with shocking candor and infinite compassion. "A superior, picaresque novel...and a revealing mirror held up to contemporary society."